For the Herald & Review/Mark Ballogg The 2.3-acre pond next to the restaurant contains catfish, koi, bass and sunfish. EFFINGHAM - You know you're somewhere special even before your server asks if you'd like your water to be spring, sparkling or tap. There's the oak firewood stacked outside to the right of the main entrance, a raised-bed vegetable garden beginning where the barnlike structure ends. There's the display kitchen, with its wood-fired grill, rotisserie and pizza oven, and the dining room, with framed photographs from the proprietors' wedding interspersed among wraparound windows. Then there's the menu, paper because it changes every day. One side details the fresh seafood flown in from California, New England, Alaska or the Caribbean, in addition to dishes and sandwiches made from locally-raised pork, chicken, turkey, beef and elk. The other side is devoted to an extensive wine list. There are also a dozen desserts, six to 12 appetizers and half-dozen salads to choose from. 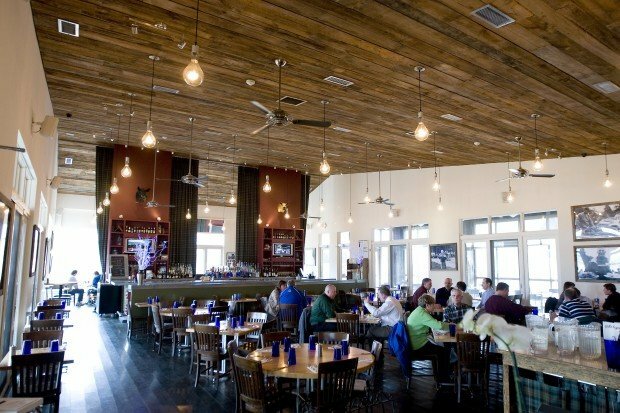 It's no wonder Effingham's Firefly Grill was recently one of three businesses in the state to receive a Quantum Leap Award from the Illinois Bureau of Tourism. Deputy Director Jan Kostner praised the restaurant for a contemporary Midwestern cuisine and eco-friendly operation that are catching the attention of travelers from throughout the country. Effingham Tourism Director Kim Jansen said the restaurant is a plus when marketing the community to tour bus operators and conventions. That the Firefly's atmosphere is elegant with a casual, hometown flavor is no accident. The place was built from the ground up in 2005 by Kristie Campbell, daughter of local businessman Dean Samuel of Samuel Music, and her husband, Niall Campbell, the chef who opened the Bread Box Cafe in Waterville, Maine, and the Blue Macaw on the Puerto Rican island of Vieques and more recently cooked for the Lark Creek Inn near San Francisco. Kristie Campbell's parents moved from Effingham to Maine when she was 2, but she visited frequently and has fond memories of catching fireflies in the backyard of her grandparents, Lowell and Lucille Samuel - hence the restaurant's name. Named the No. 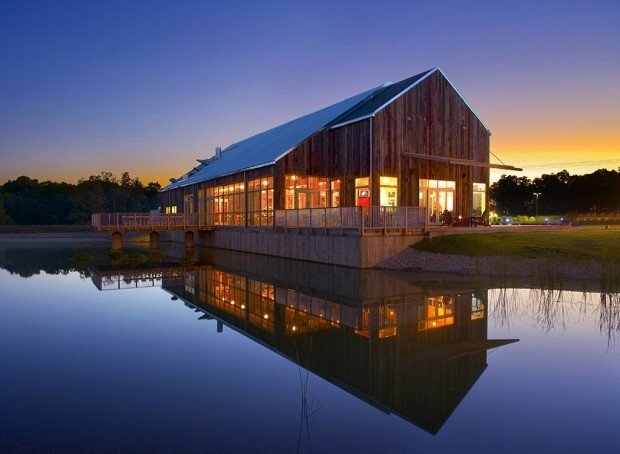 2 eco-friendly restaurant in the United States by Bon Appetit, the Firefly Grill can seat more than 300 people in the summer and has three private dining areas and two outdoor seating areas overlooking a 2.3-acre man-made pond that irrigates a 1.5-acre organic vegetable garden supplying much of the restaurant's fresh produce. It employs between 45 and 60 people depending on the time of year. Future plans include a fishing tournament this spring to benefit a local charity and to keep the pond healthy and the installation of greenhouses to lengthen the growing season. "The University of Illinois in Champaign is helping us design and set them up," Kristie Campbell said. "We should be able to grow lettuce and Brussels sprouts year-round and extend the tomato season by four months." She added that the restaurant and the nearby Rosebud Theatre hope to start a weekly farmer's market in 2011. The Rosebud closed in December, but the city of Effingham purchased it in January, with the nonprofit group, Arts Connection of Central Illinois, hoping to begin a performance season in September.